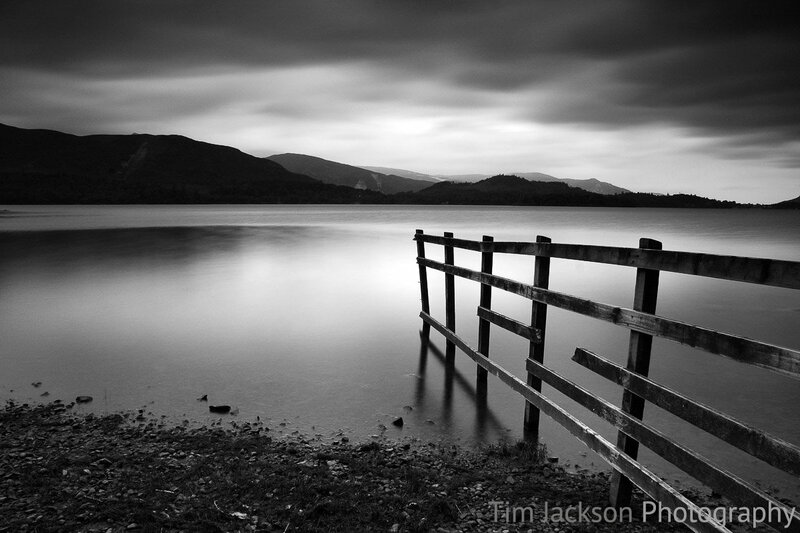 Tim Jackson Photography / Blog / Using bad weather to capture mood and drama in your photographs. Using bad weather to capture mood and drama in your photographs. Most photographers have faced the frustration of not being able to get out to get the shot they want because they are scuppered by bad weather. As I sit and write this article at home in the UK during the summer, I can look out of the window at the grey sky and rain and it could just as easily be autumn. Weather can be unpredictable, which can be especially frustrating when on a trip to a location where you have a limited amount of time. Those grey, overcast days do not have to mean leaving the camera in the bag and staying at home. A couple of years ago, I set myself the challenge to go out and shoot on a dull, overcast and drizzly day in an attempt to overcome this very belief and it changed the way I view what some might term ‘bad weather’. I no longer view these conditions as ‘bad weather’, just different weather with different opportunities. For landscape photography in particular, Neutral Density (ND) and ND graduated filters can be used to create long exposures and bring out detail in the sky. You may be surprised by the detail the camera can pick up in the sky when to your naked eye it looks like a dull and boring sky. 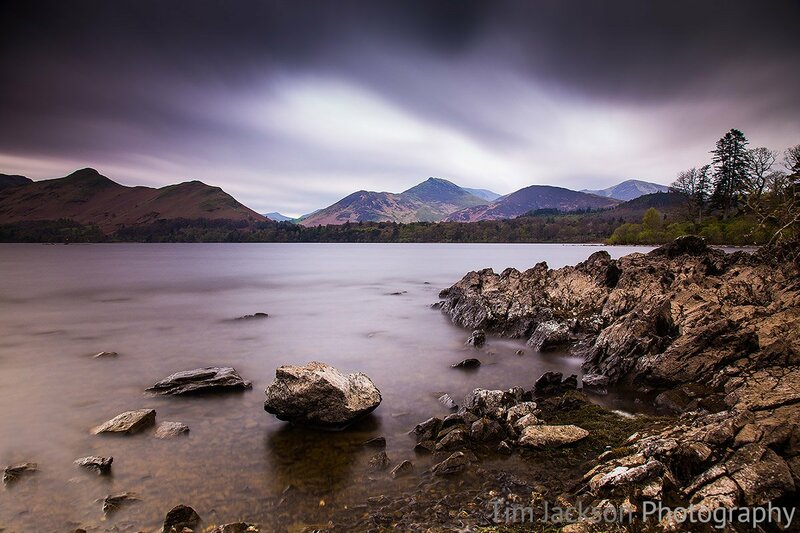 Long exposures are also easier to achieve during the daytime on overcast days and so you can capture motion blurred clouds and silky water more easily. When combined with black and white photography, the effects can be quite dramatic. I frequently hear photographers saying that they shoot black and white in overcast conditions, but despite what I said above about creating drama, I would suggest not constraining yourself to this. Sometimes you can capture the mood of the scene better in colour. The colours will not be as punchy or saturated as a sunny day, but that’s what creates the mood. The light on overcast days is often more forgiving since the clouds diffuse the sunlight. In some respects, I prefer landscape photography on cloudy days compared to bright sunny days when there is sometimes too much contrast in the scene. Something else to bear in mind is that clouds in the sky mean water vapour in the air, which could be a blessing in disguise for photographers. Some of the most colourful sunrises and sunsets are when there are clouds and therefore water vapour in the air that catch the sun’s rays. Clouds on the horizon are more likely to scupper sunrise and sunset photography than any overhead clouds. Cloudy skies also mean a greater chance of rain and stormy conditions. 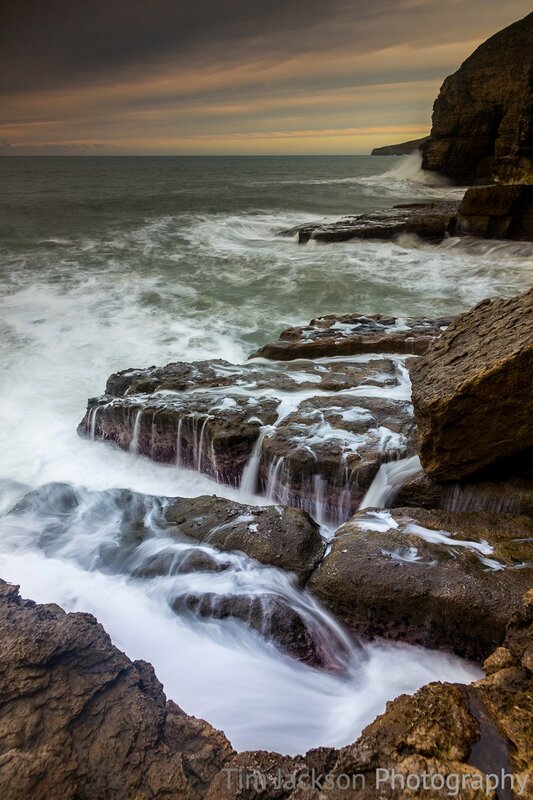 Perhaps a rain shower in the distance, a rainbow, waves crashing against cliffs or a thunder storm. Whilst challenging conditions to work in, and certainly requiring more self motivation to get out there, the results can be very rewarding. So next time the weather looks grey and you feel like abandoning your venture out with the camera, keep going and head out. You’ll win some and you’ll lose some, but if you stay at home you’ll lose them all.